April 26, 2011 –Fresh from Springfield, Homer Simpson – the world’s favorite animated patriarch – is now making his way onto your TomTom App for iPhone for the very first time, as the friendly and encouraging co-pilot to your journey! Developed in partnership with Twentieth Century Fox Consumer Products (FCP) and Locutio Voice Technologies, the original Homer Simpson voice for TomTom’s range of personal navigation devices is now available on the new TomTom iPhone app v1.7. The voice app marks the first time a celebrity voice has ever been available for mobile phone based GPS. Additional territories include United Kingdom, Ireland, Canada, New Zealand, Australia, Portugal, Luxembourg, Finland, Norway, Denmark, the Netherlands, Belgium, Sweden and South Africa. 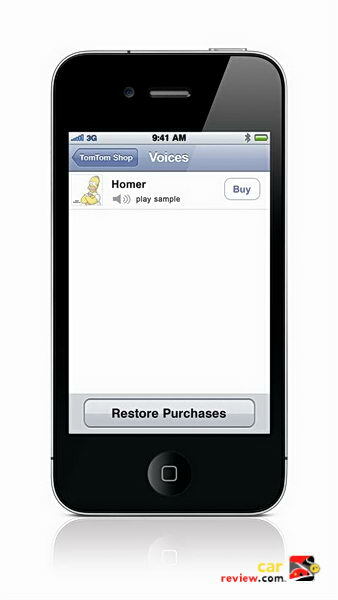 The original Homer voice for iPhone comes with all the latest and updated maps (TomTom version 1.7), which means drivers not only receive Homer’s own special words of wisdom, such as “Make a U-turn. Ha ha, you’ve goofed. D’Oh!” but also the latest TomTom map store on board their iPhone. The new TomTom iPhone App allows drivers to access the most up to date maps and keeps maps fresh with TomTom Map Share™, by making their own corrections, while simultaneously – and automatically – benefiting from verified corrections made by other TomTom users every day. 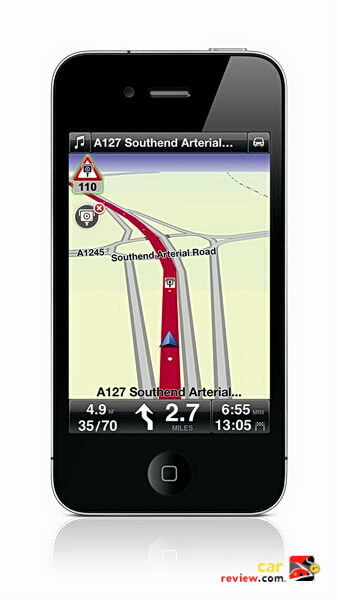 And all cost-free to TomTom iPhone App users. “The TomTom brand is synonymous with enjoyment and high quality navigation as part of a great driving experience. 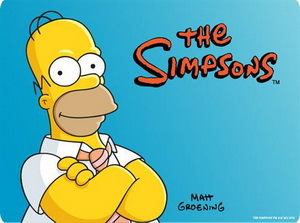 Our partnership with TomTom and Locutio to bring the Homer Simpson voice to the TomTom iPhone App provides a new and immediate platform for fans to enjoy THE SIMPSONS and navigate road trips in a new and fun way,” comments Robert Marick, Executive Vice President, Fox Consumer Products. In addition to latest maps with Homer’s voice, TomTom drivers can purchase Speed Cams, the newly available TomTom Speed Cameras (version 1.7). The TomTom App includes a free database of fixed camera locations – which can be optimized with fixed camera updates and real-time mobile speed camera information. TomTom Speed Cameras is available via in-App purchase as well as online at the iTunes store priced £3.49 for one month or £22.99 for one year.